What is the difference between the regular Challenger 3137 and your Challenger II Series (Bb models: 3137/2, 3143/2, 3172/2, 3125/2)? What is the current value of my instrument? Where can I purchase my B&S instrument? In the unlikely case of a manufacturer’s defect: how do I proceed to claim the warranty? Where do our brand name B&S come from? What is a 3B linkage system? How do I maintain my B&S Instrument? The Challenger II Series is taking the Challenger 3137 to the next level for the most ambitious players. The new Challenger II Series now comes with easier response! 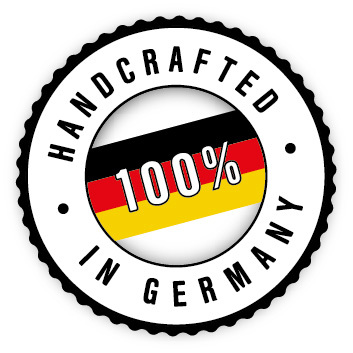 Of course (as any B&S instrument) 100% handmade in Gemany. The value of a musical instrument can not be determined by the model and age only – playability and overall condition play an even more important role. Considering this, it is easy to understand that no one has a chance to realistically comment on the value of a specific instrument from the distance without being able to physically inspect the instrument: chances are that repairs, overhauls and/or modifications were made by the previous owner(s) at some point – also, no one can comment on valve or slide action, dents or scratches or general wear and tear of the lacquer or plating from the distance. Your local repair expert will be able to assist you and provide a detailed evaluation after inspecting your instrument physically and professionally. B&S instruments and accessories are only sold through authorized dealers. A dealer in your area can be found here. Always immediately contact the dealer where you have purchased your instrument. They will handle the warranty for you and determine which steps are necessary to fix the problem in close cooperation with us. With each and every warranty claim the serial number (to be found on the leadpipe receiver) must be provided. Any repair must be approved by the manufacturer prior to being executed – or you risk voiding the warranty. For obvious reason, damages due to improper use of the instrument, lacking care and maintenance and unauthorized repairs are not covered by the manufacturer’s warranty. The brand B&S comes from the instrument making tradition of the upper Vogtland region in Saxony. In the course of the expropriation and nationalization of private enterprises in the GDR, many workshops and studios of Markneukirchen and Klingenthal were combined to a publicly owned operation (= VEB: volkseingener Betrieb). B&S (= Blechblas- und Signalinstrumente) was founded as the umbrella brand for all high quality products. On the other hand, the standard line was called “Weltklang” and later VMI (= Vogtländlische Musikinstrumentenfabrik). In contrary to the existing linkages, the new 3B linkage system uses two stell balls in bronze ball bearings for each valve in order to optimise the transmission: one ball connects the valve action rod to the bottom of the lever, the other one is connected to the stop arm. 3B stands for “Bronze Ball Bearing”, or in other words for a steel ball that is held within a bronze bearing. Additionally to this perfect gliding combination of steel and bronze, a spring on the connector to the valve action rod keeps the linkage in an optimal position to guarantee a perfectly smooth moving. In the end, it feels not much different to a string mechanism rotary valve. For detailed care instructions and tips for your instrument from the house of B & S please go to Care & Maintenance.